myself, who lack green thumb expertise, those anticipated garden flowers may never bloom. can kill them is with too much attention. eager to try growing them. oooh...I love these...so unique, yet so beautiful in form. great ideas! 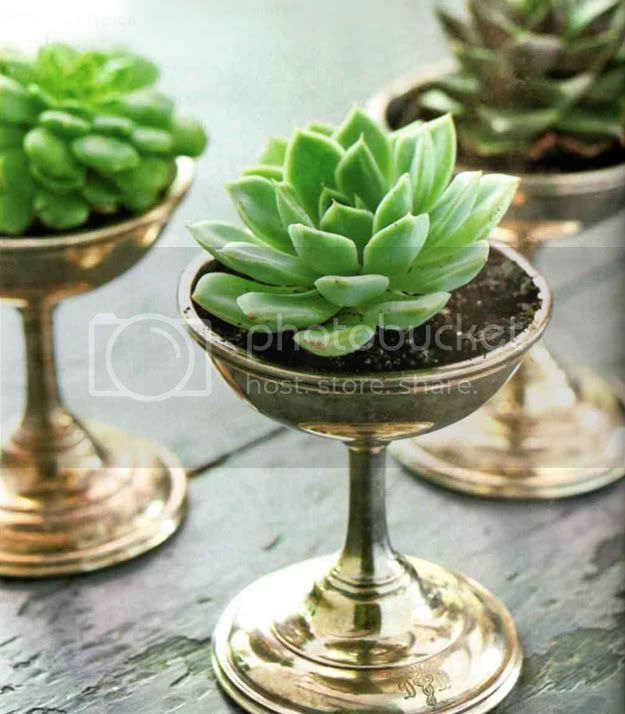 If you like Succulents, hop on over to a fabulous little site of horrors, 'succulentala"
I love that they are low maintenance. What is better than succulents?! They are so beautiful! I love these succulents! I just linked to this post in the MyPunchbowl blog in which I wrote about eco-friendly party tips and online invitations. 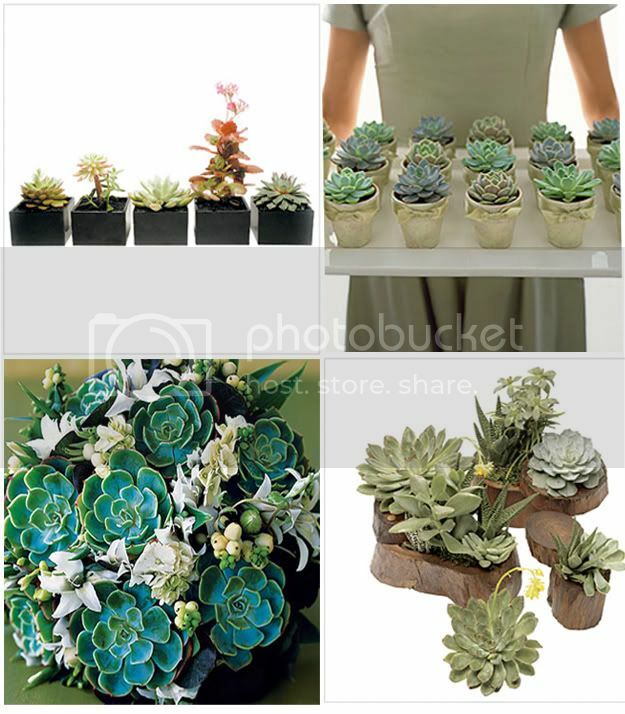 These pictures describe exactly the look I was going for with my wedding centerpieces. 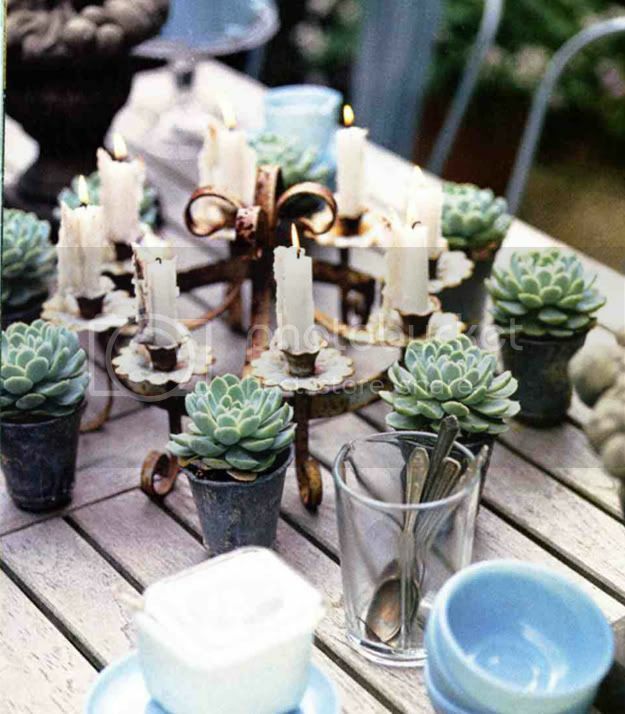 Do you have any suggestions on where I could find the 8 place taper candelabra featured above?? I love this trend. Indeed, it does keep popping up everywhere! 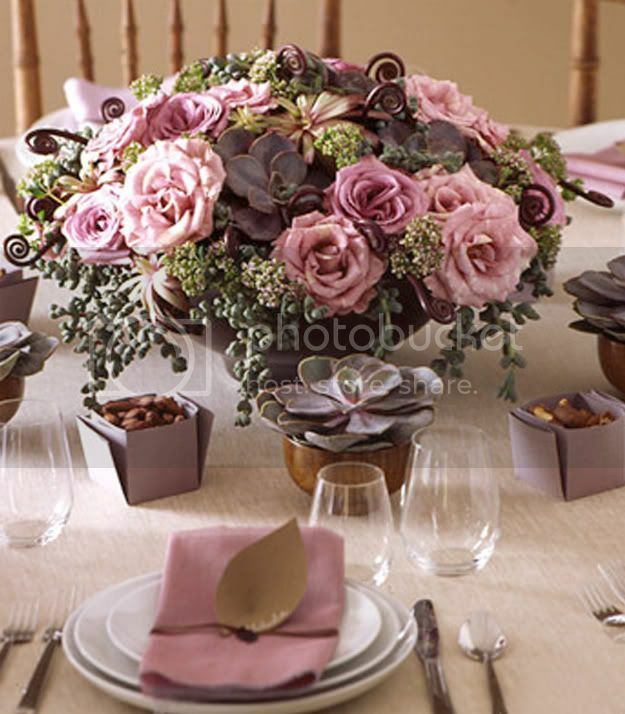 I like the idea of placing succulents on menu cards at place settings and tucked in amongst clusters of peonies, roses, and other flowers for an eye-catching arrangement. really nice table settings to be sure, thanks for posting such a great idea. You truly thought that all that seemed to be authentic some day.